I have observed a long standing summer camp tradition of serving ice cold watermelon on the last camp day. It's a delicious, refreshing way to follow up a hot tennis workout...! Hello, my name is Coach Sam Chadwell. I taught my first summer tennis camp as a volunteer for the Bay City Parks and Recreation back in 1980. I found working with young people in a tennis setting such a fun and rewarding experience that I continued teaching tennis through out my college career and eventually became a certified teaching professional, which has led to an amazing career taking me all over the world as a professional tennis coach and club manager. Over the years I have introduced tennis to thousands of players, young and old. 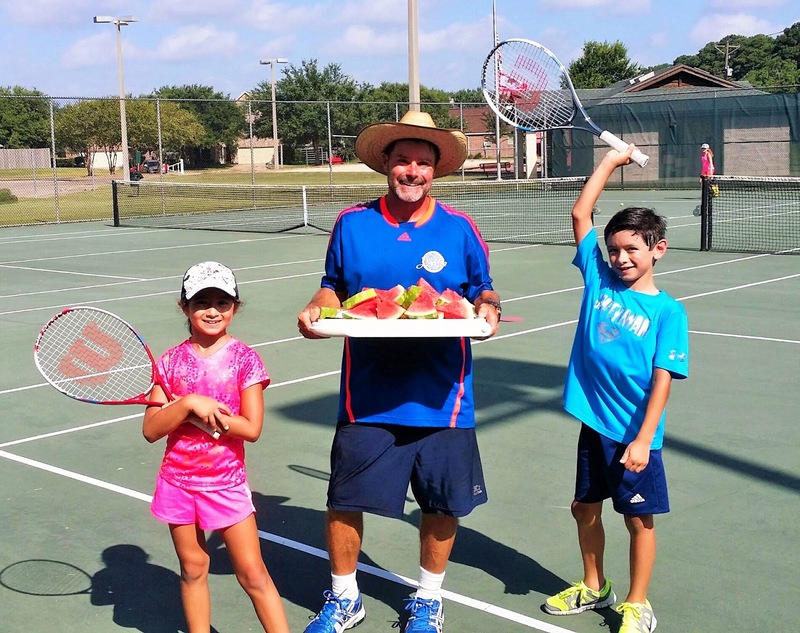 This summer I am celebrating my 35th consecutive year of running a summer tennis camp program. I am currently employed at Bay Area Racquet Club as Program Director, and am also available for private coaching by appointment.